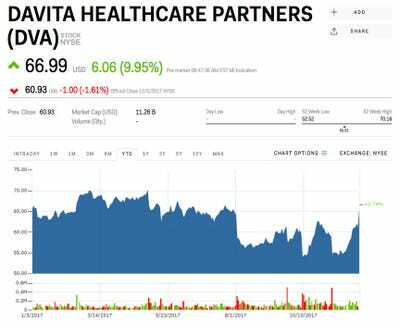 Shares of Davita, a kidney care service provider, jumped 10.54% to $US67.85 on Wednesday after UnitedHealth Group said it would buy the company’s medical unit for $US4.9 billion. The deal will be financed with cash and would combine UnitedHealth’s Optum unit with DaVita’s 300 clinic network that serves about 1.7 people annually. DaVita has said it will use the money from the sale for stock buybacks and repaying debt after the deal closes, which is expected to occur sometime next year. UnitedHealth is little changed near $US220.10 on the news. 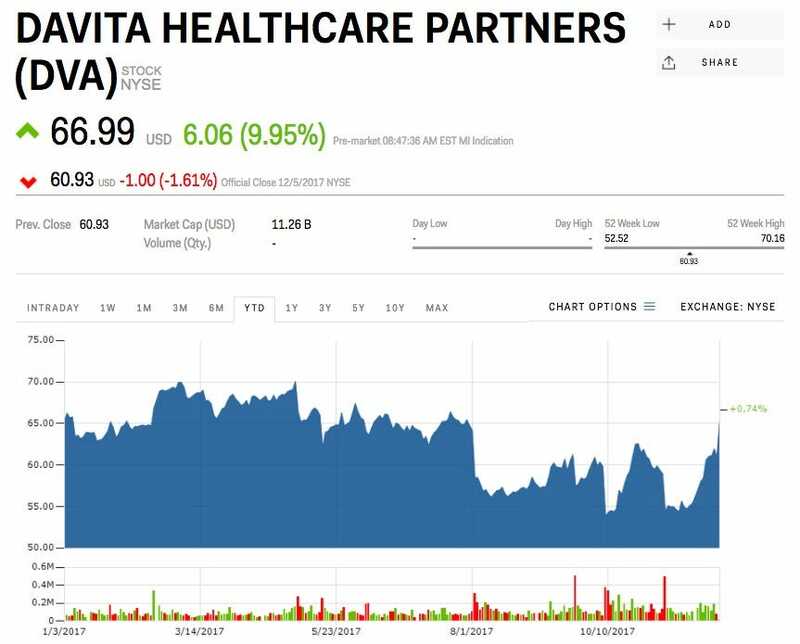 Its shares are up 36.48% this year, while DaVita is higher by just 0.74%.